Aileen started Chime after she graduated from the Royal Conservatoire of Scotland (formally R.S.A.M.D.) with a Bachelor of music (hons), where she specialised in classical singing and community music. 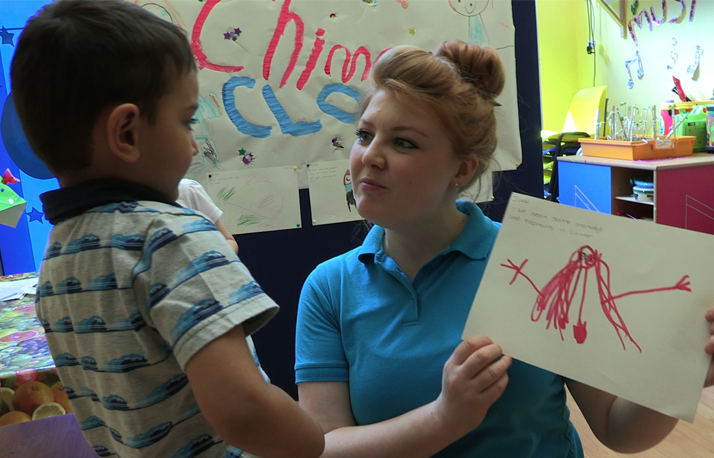 Chime has been running since 2011 delivering high quality Expressive Arts sessions in nursery schools, care homes and hospitals. Aileen has over fourteen years experience working with pre-school children is passionate about early years education. She has also led workshops for older children with additional support needs and has led expressive art sessions at a speech and language unit. Aileen was previously involved in a project at a bilingual unit, using music as a tool to help children communicate with each other whilst their families were seeking asylum in Glasgow. Aileen also has a vast wealth of experience working with people with Alzheimer’s and dementia. Aileen has also conducted sessions at the Prince and Princess of Wales hospice, helping bereaved families express themselves through therapeutic musical sessions. 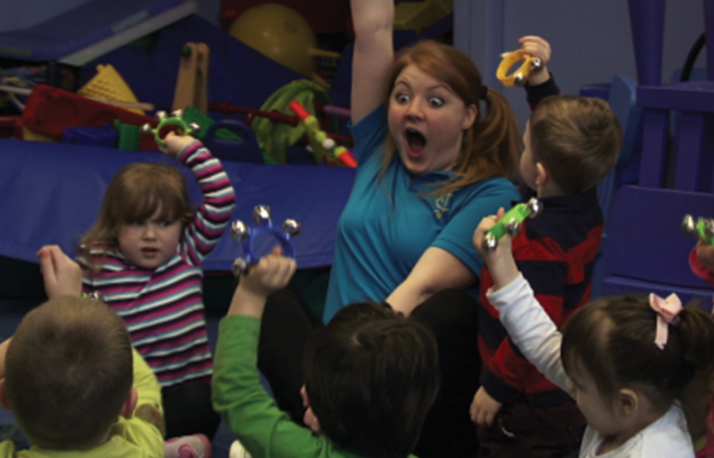 Aileen has attended Orff training courses, leading to qualifications in the Orff teaching methods. She is also very familiar with the Kodaly and Suzuki music practice methods. As well as her infant first-aid certificate, Aileen also has a C.O.S.C.A. certificate in counselling skills and a P.T.U.K. accredited introductory certificate in play therapy. Recently Aileen attended the Adverse Childhood Experiences conference in Glasgow and strives to help make Scotland an ACE-aware nation. Aileen is a classically trained soprano and has performed in venues all over the UK. Aileen is also a founding member of ‘Les Sirenes female Chamber Choir’ who were the winners of the B.B.C.’s ‘Choir of the year competition’ in 2012. Anna is a bachelor of music graduate (hons) from Edinburgh University where she trained in music history and classical singing. 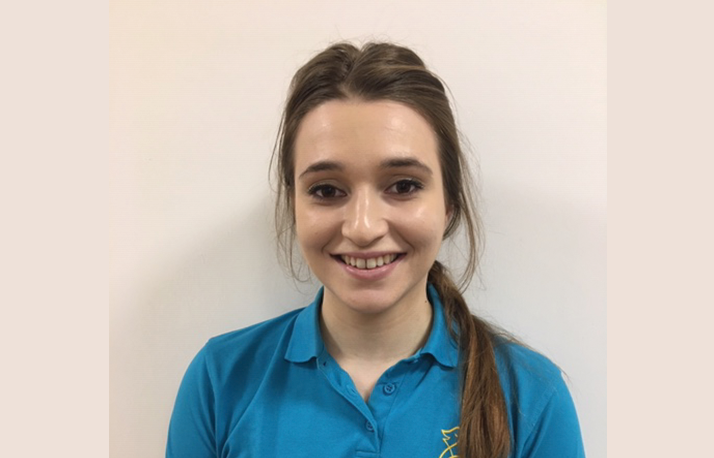 As a keen and talented musician, Anna has been teaching singing, piano and violin to children of all ages for over eight years. Anna uses mindfulness techniques and the Kodaly approach to teach musicianship to children with autism, and also teaches ukulele, drumming and singing to children with additional support needs. Anna has been working with Chime for several years and also works at the Diane Mitchell Music School. In her spare time Anna volunteers with several youth and community choirs but is most passionate about early year’s music.